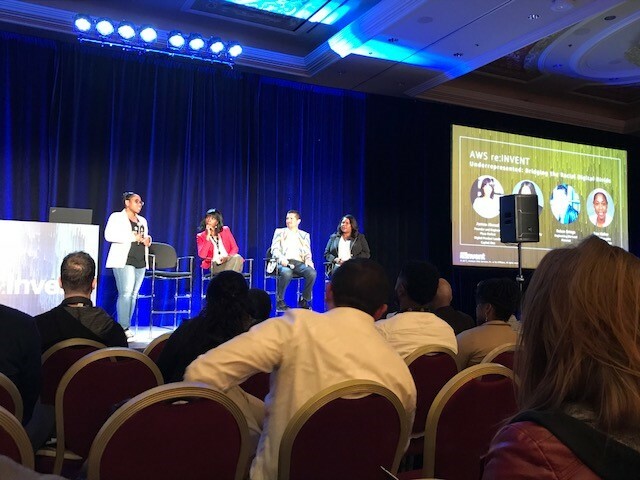 As part of the Diversity Series organized by the Amazon Web Services We Power Tech program, AWS Technical Evangelist Tara Walker led a panel at re:Invent 2017 to discuss how best to champion diversity and inclusion in tech. Each of the panelists— which included Asmau Ahmed, the founder of visual recognition startup Plum Perfect and enterprise digital strategist at Capital One; Molly Q. Ford, the director of global equality programs at Salesforce; and Ruben Ortega, engineering site lead at Pinterest—initially got into technology for similar reasons: they all wanted to have impact and to innovate. 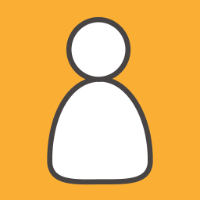 Having previously worked at Amazon for nine years, Ortega was able to impact billions of search results in Mechanical Turk, making billions of dollars for Amazon. Once he entered management, he realized there wasn’t a lot of diversity in his teams and wanted to do something about it. On the other side, Ahmed noted she didn’t feel the impact of being a black woman in tech until she entered the workforce and felt the all too familiar “imposter syndrome” that many women experience. Ford recounted that her brother, perhaps endearingly, labeled her as bossy growing up. Only as an employee did her perception of that label change from being negative to positive, and come to represent the idea of working hard and being direct about what she wanted to accomplish. The panel also spoke about the challenges and biases that exist in tech today as they experience it. Ahmed is the founder of the startup Plum Perfect, a color-analyzing technology and mobile app for makeup enthusiasts that helps users find their perfect shade match. She noted that as a black woman, she had to give VCs every reason to say yes to her company and would study for meetings like she was preparing for an exam. (According to digitalundivided, only 11 black women founders have raised $1MM or more in VC funding since 2012—Ahmed is one of them.) Ahmed quickly realized that when she would walk into these meetings, people were often surprised and had to adjust to seeing her—losing critical time in the process. She also began including her photo in her resume before setting up meetings. Though she got fewer meetings with VCs, the ones she had included people that ultimately were more interested in investing in her business. On an encouraging note, each panelist is currently and actively involved in hiring diverse teams and providing a supportive work environment for employees at their respective companies. At Salesforce, Ford leads the Global Equality Programs, which operates under three tenets—equal rights, equal pay, and equal education. She is working to ensure her diverse employees also feel empowered enough to refer family and friends to Salesforce. Ortega said that at Pinterest, the company’s founders were deliberate about being diverse and hiring diversely—so much so that they shared their diversity goals publicly last year. Ortega is directly involved in hiring a diverse group of engineers and teaches employees about unconscious biases and how it affects minorities in the workforce. To wrap up the session, the panelists shared how they will define the success they’ve made in five years—how will they know they’re making a difference? Ahmed hopes that her young daughter can go to work and be herself, and be measured by her skills and talents instead of by her skin color. Similarly, Ford wants to ensure that people are bringing their most authentic self to work each and every day. And Ortega’s final piece of advice was: don’t work for a company that doesn’t talk about unconscious bias. Having uncomfortable conversations about bias and race is important, he said. The more we speak about it, the less present it will be.